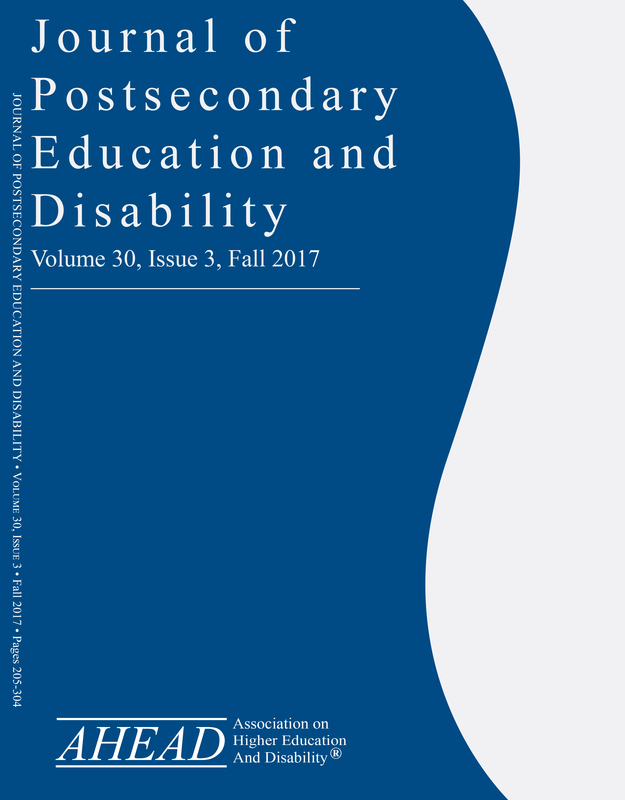 The Journal of Postsecondary Education and Disability (JPED) is a refereed journal and the leading forum for scholarship in the field of postsecondary disability services. As the official journal of the Association on Higher Education And Disability, the JPED serves as a resource to the membership, as well as to other professionals dedicated to the advancement of full participation in higher education for persons with disabilities. For questions, e-mail JPED Executive Editor, Roger Wessel at rwessel@bsu.edu. The Journal has been published for nearly 30 years and is published four times a year, with back issues archived. Nearly 3,000 individuals subscribe to the Journal. Full electronic versions are available through our archive. The JPED is indexed and searchable through ERIC; and the Emerging Sources Index (via the Web of Science), and EBSCO Education Research Complete databases available at most academic libraries. Members of AHEAD receive a free electronic subscription to the JPED (PDF, Word, DAISY, & MP3). Hard copies are available for an annual subscription of $50; members can request a print subscription via membership form or by calling AHEAD. A limited number of selected back issues in print can be ordered from AHEAD (Word Document Dowload) for $20.00 each. AHEAD's provides alternative formats (DAISY, MP3, Text only, and PDF) of the JPED as a part of its commitment to accessibility and reader-choice. These formats are available for all volumes beginning with Volume 24, Issue 1. Please contact JPED@ahead.org with feedback on the accessibility of the JPED.